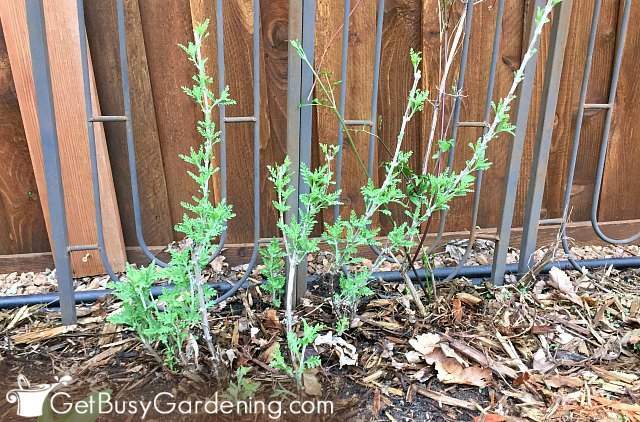 Pruning Russian sage is super easy! The best part is that you don’t have to worry about over doing it, you can’t kill a Russian sage shrub by over-pruning. 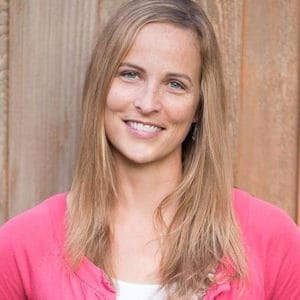 Plus there are three pruning techniques you can choose from. Follow these step-by-step instructions to learn how to prune Russian sage plants. If you’re growing Russian sage plant (Perovskia atriplicifolia) in your garden, then you know how bad they can look after the winter. All those dead branches leave your plant looking ugly and half dead. So it’s important to learn how to cut back Russian sage to keep it looking it’s best all summer long. Before we start, I want to mention that there are different types of Russian sage plants. 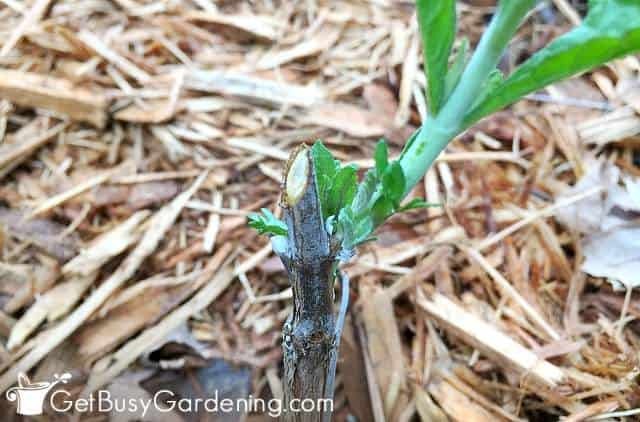 But don’t worry, these pruning tips work for all of them! So, no matter which variety you have, you can follow these steps. Pruning is an important part of Russian sage maintenance. If you don’t prune Russian sage, the plant will become very overgrown and woody, which doesn’t look very nice. It’s also important to know that Russian sage won’t grow back at the tips of the plant after the winter, and the branches die back towards the bottom of the plant. So the dead twigs that are sticking out above the leaves in the spring will be there all summer if you don’t prune it. You can prune out the dead growth any time, you won’t harm the plant. But, the best time for pruning Russian sage is in the spring. I find it easier to wait until the leaves have started growing before I prune mine so I know exactly where to cut. If you prefer, you can prune your plant while it’s still dormant. Since you can’t over-prune a Russian sage bush, you don’t have to worry about exactly where to make your cuts. Early spring pruning is a good time to shape it if you want a nicely formed, rounded plant. 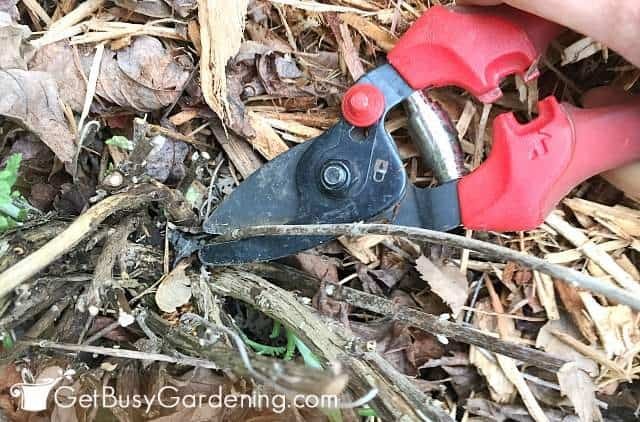 Russian sage stems are woody, and can be pretty thick in spots, so I recommend using pruning shears for the job. If you have a large shrub, you can use hedge shears or an electric hedge trimmer to make pruning easier. I also like to use precision pruning snips for smaller branches and tips if I’m working around tender new leaves. Whatever garden pruning tools you use, just be sure they are always cleaned and sharpened before you start cutting. 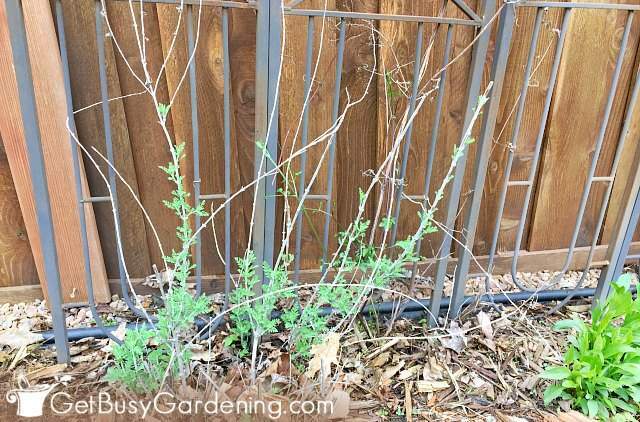 There are three techniques you can use for pruning Russian sage. 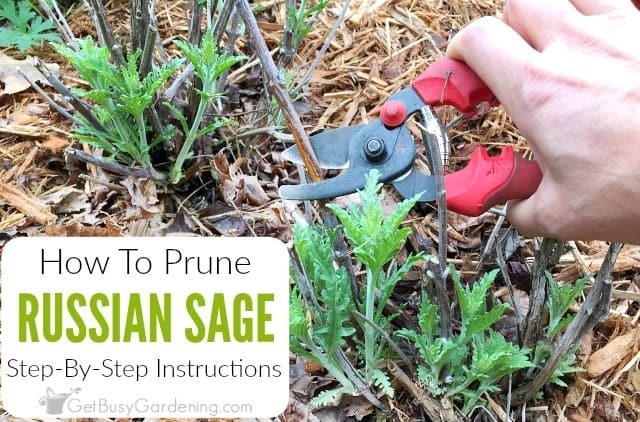 You can cut it back all the way down to the ground, prune it for shape, or wait for new growth before pruning it (which is the method I like to use, see the step-by-step instructions below). 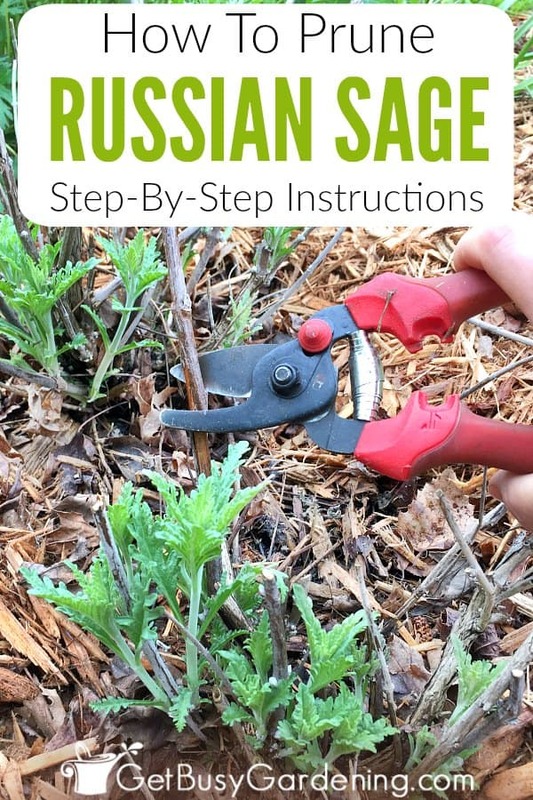 Method 1: Cut it down to the ground – If your Russian sage is really woody and hasn’t been pruned before, then you might want to try cutting it all the way down to the ground. 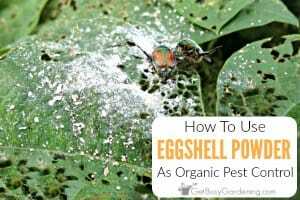 This will rejuvenate the plant so it will grow fuller and bushier. 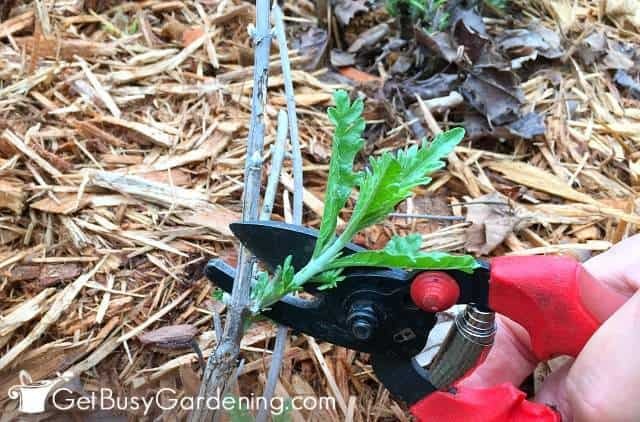 You can use this technique every year to make pruning easier if you want, it won’t hurt the plant. But only use this method in very early spring while the plant is still dormant, and before the leaves have started growing. If your Russian sage leaves have already started growing, then use methods 2 or 3 instead, and wait until next spring to cut it all the way back. 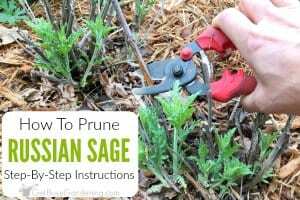 Method 2: Prune it for shape – With this method, you can use hedge shears or an electric hedge trimmer to shape your Russian sage bush to a nice rounded form. Like I mentioned above, you can’t kill Russian sage by over pruning it, so you really don’t have to be careful. In fact, you want to be aggressive with large shrubs. 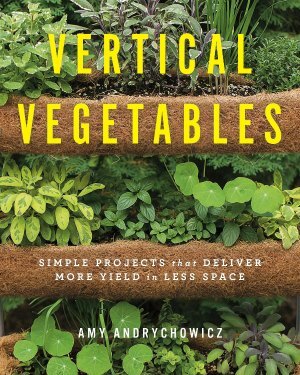 When using this method, cut large plants back to about a foot high. If your Russians sage plant is small like mine or it’s immature, then it’s best to hand prune it like I do. You don’t have to be very careful here, if you cut too low on the plant, it’s not going to hurt it. Step 1: Look for the new growth – Find the spot on the branch where the new leaves have started growing. That is usually towards the bottom of the stem, but it can be much farther up on some stems. If any of the branches are sticking out a lot higher than others, then you can cut them back to the same length so the plant is shapely. Or you can leave them longer if you don’t care about the shape of the plant. 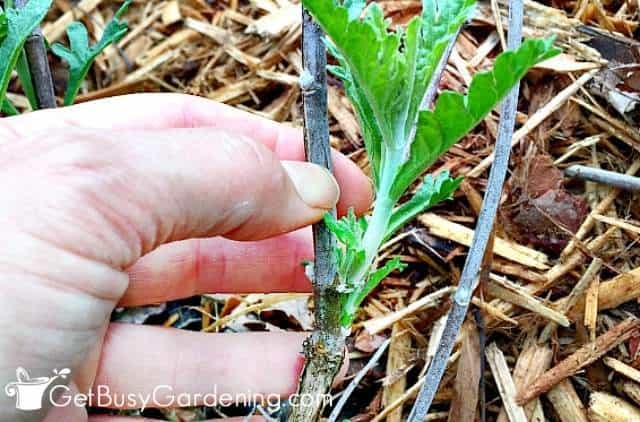 Step 2: Cut right above the new leaves – Using pruning shears or precision pruning snips, cut back the old stem right above the spot where the new foliage is growing. Try to make the cut as close to the leaves as you can, any part of the dead branch that is sticking out will be there all summer. When they’re small, the new leaves are very delicate and can break off easily, so be careful. But don’t worry, if you accidentally knock off a few, it’s really not a big deal. They will grow back. Step 3: Remove any dead branches – If you find dead branches that don’t have any new leaves on them, you can cut those down to the ground. Many times the dead branches will break off easily, so you can just snap them off at the base if that’s easier. There you have it! I told you pruning Russian sage would be easy. Pruning is an important part of Russian sage care, and it helps to keep your plants growing and looking their best. 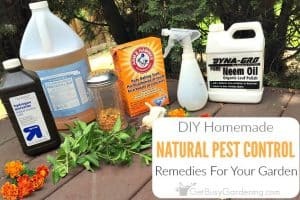 You can use any of the three methods every year for all the different Russian sage varieties. 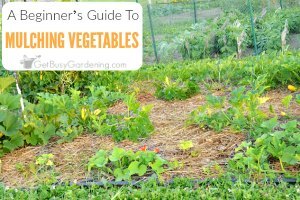 Or you can alternate these methods from year to year as you need to in order to keep your plant growing nice, and keep it shapely. How do you cut back Russian sage? Share your tips for pruning Russian sage in the comments section below. Many thanks for the Russian Sage info its just what I was looking for as I only planted them this year and our winter in the UK is fast approaching so I was wondering how to deal with the plants when winter arrives.